After a wonderful stay on Koh Lipe we left with heavy hearts and debated a few times whether to stay longer. 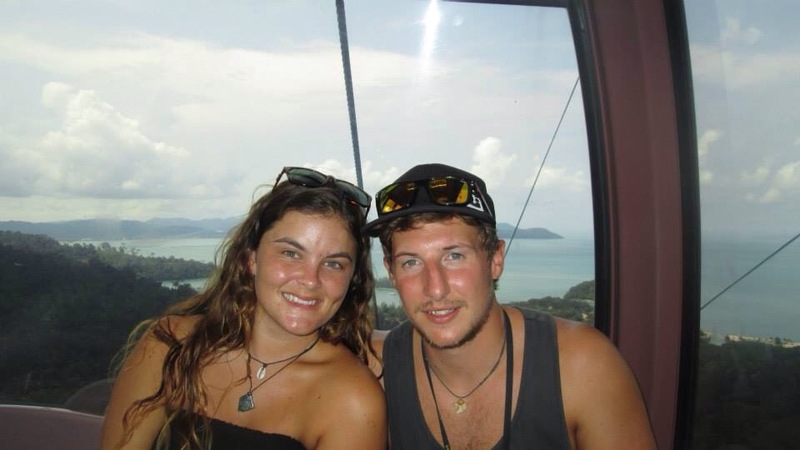 Our next stop was Malaysia and we were both excited as neither of us had been or knew much about the country. 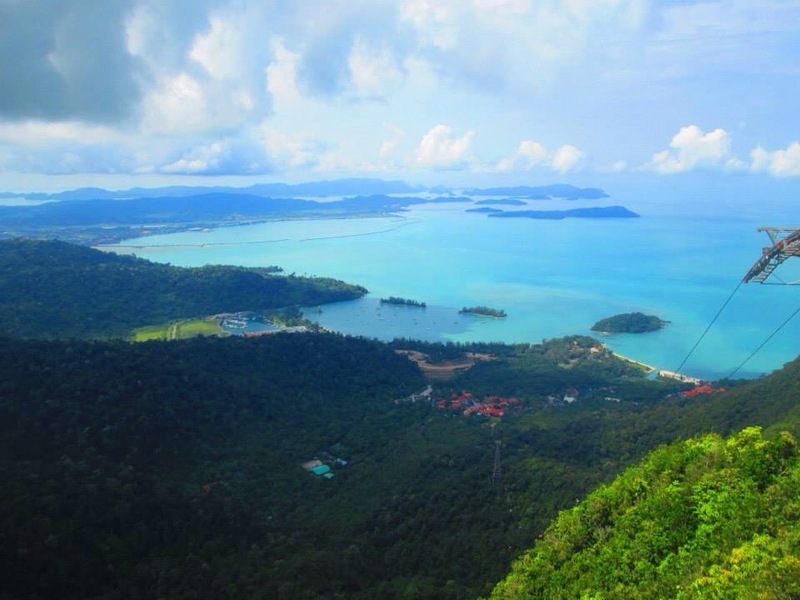 We got a ferry to the island of Langkawi, and we had pre booked a hostel just so we had somewhere as a drop off point. Two German girls who were on the same ferry had no where booked and we decided to share a cab so they could see if there was room at the hostel we were at. We arrived to this small bungalow in the middle of a field, far away from the main town and attractions. Without even getting out we all looked at each other and asked the driver to drop us in the town centre. The main street was very lively and colourful with lots of restaurants and market stalls. A local man directed us towards a guesthouse, we were a bit weary at first but it turned out to be fine. Extremely cheap, clean private room and bathroom and right in the centre. We spent that evening walking up and down the main street, through market stalls to modern shopping malls. I thought it would be very similar to Thailand but it really wasn’t, you definitely knew you were in a different country, my first impressions of Malaysia were good! The next day we met up with another couple who I knew from home, it was great seeing familiar faces in a foreign place, especially when it was so unplanned. They had hired a car and we drove around the whole island stopping at various beaches and attractions. 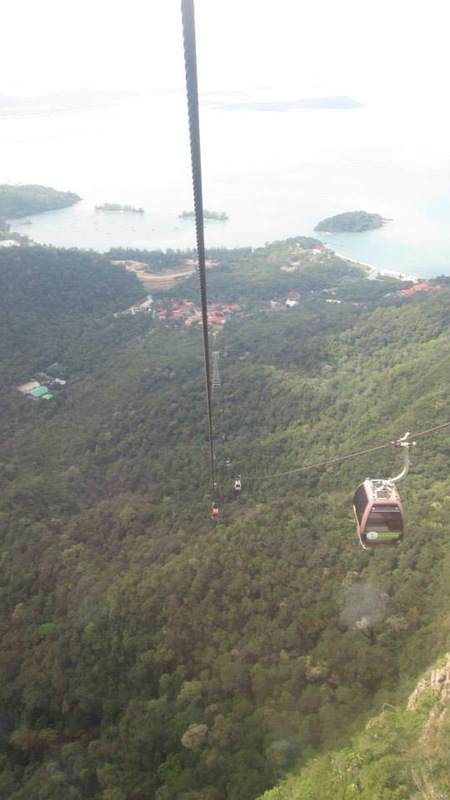 Langkawi is famous for its gondolas so it would have been rude not to go up on them. 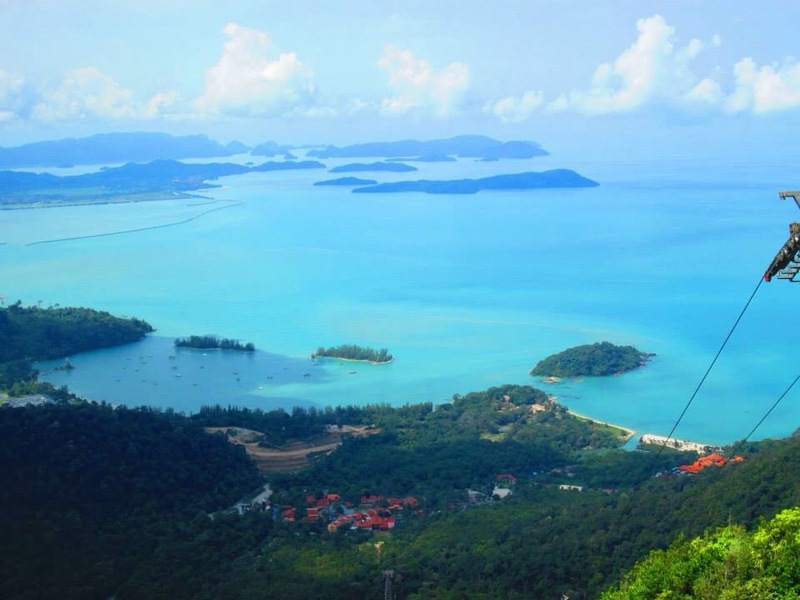 The view is incredible at the top – blooming scary getting up as its so steep and there’s 3 different points you can get off at and have a look. We went all the way to the top and we were literally in the clouds. On the drive back there was a place called the crocodile farm.. we were unsure what this actually was and we soon realised after visiting the small gift shop, it was a place where they bred crocodiles for their skin etc. We soon got out of there made me feel all funny. We then stopped at the main beach and strolled down, stopping for pizza and cocktails in one of the beach front restaurants where we skyped my sister. 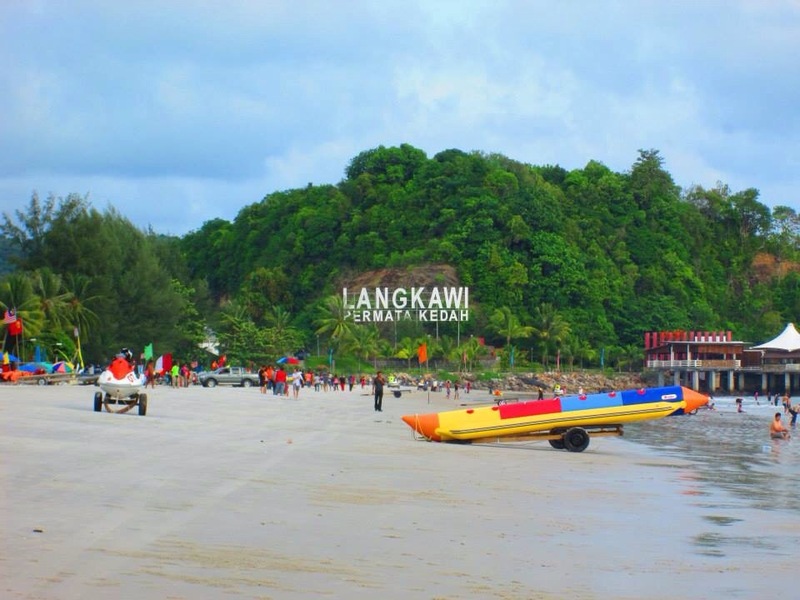 It was a nice relaxed atmosphere in Langkawi, the people were very friendly and welcoming, I would like to go back perhaps in peak season as the weather wasn’t that great whilst we were there. We walked back along the main street again that evening and stopped for a roti canai – a Malaysian speciality. You can have them sweet or savoury, we decided to have milo on ours, we watched the locals make them on their stalls and sat inside on plastic chairs surrounded by locals eating their dinner. I’ve had crepes and pancakes in Thailand but this roti canai was on another level! So delicious!